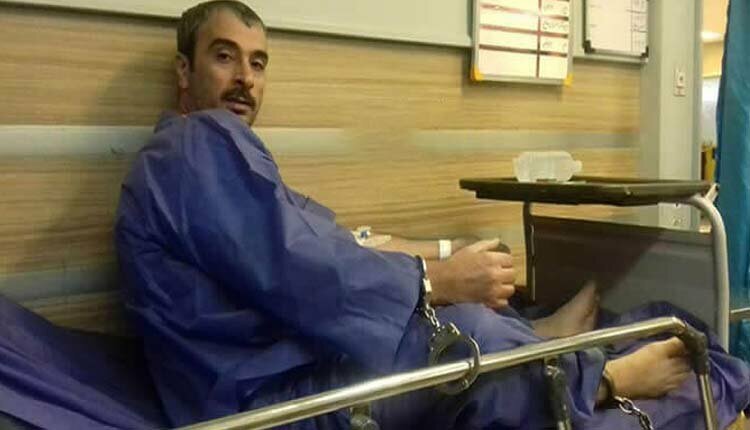 Hamidreza Amini, has been hospitalized in Khomeini Hospital since March 17 due to his critical health as a result of his dry hunger strike. The political prisoner, who was detained and jailed because of his internet activities, is also under pressure to make televised confessions. On the morning of March 26, Hamidreza Amini was taken to Fashafuyeh hospital by security forces with bound hands and feet on a wheelchair. He was unable to walk and speak. According to his family, who were in the hospital but were banned from visiting him, while being taken away, Hamidreza Amini said in a tone so that his family could hear that his doctor had not released him from the hospital due to his critical condition but that he was being taken back to prison upon the Prosecutor’s orders. He also said that the soldiers guarding him had verbally abused him. It should be noted that on March 20, when his wife and two children intended to see him in the hospital for a few minutes, his guards severely beat him in front of his family.